Go here and become a Facebook Fan. Then click on the coupon tab and fill out your information. 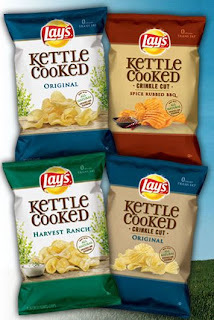 You will be able to print off a Buy One, Get One free Kettle Cooked coupon! If you keep an eye out for sales...this could lead to 2 free bags of chips!